My Summary: It's been about a month since the events of Lena's Seventeenth Moon, and the town of Gatlin still hasn't returned to normal: there are lubbers everywhere, the heatwave hasn't let up in weeks, and the lake has dried up. In short, it's beginning to feel like the end of the world in Ethan and Lena's little town. My Thoughts: This book is the hardest to review of the series, because I both loved it and hated it (in a good way). The writing, as usual, was flawless, and the character development gets better in every installment. 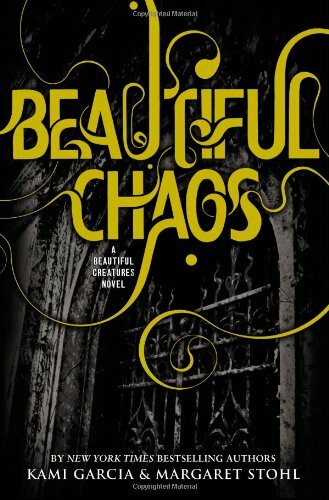 It was great to see Lena and Ethan make peace with the mistakes of their past and try to move on with their lives, and I've really enjoyed the way the paranormal element builds in each book, teaching us more about the world of the Casters chapter by chapter instead of dumping a bunch of information on the reader all at once. But man, this one had some major angst (which I love, as you all should know, but my wee piggy heart can only handle so much!). You could feel the pain Ethan was in, watching his life unravel, and you couldn't help feeling for Lena as you watched her learn the truth about her mother. In short, I loved this book. It was amazing, and I seriously have no clue how I'll be able to wait for next fall to read the last one in the series. Final Thoughts: If you're looking for a refreshing change from the usual vampire/werewolf/faerie book, I definitely recommend this series! Check it out! The use of a male first-person narrative makes it all the more interesting, and the new take on the paranormal element makes for a great read. I'm still on beautiful creatures lol. Late, I know. But i'm actually disappointed with what I've read so far. I have like... 150 pages left so I feel like if it was going to get better it would have by now. The reviews are so positive for this series, so I feel like maybe I'm missing something. Author Interview with Nova Sparks!